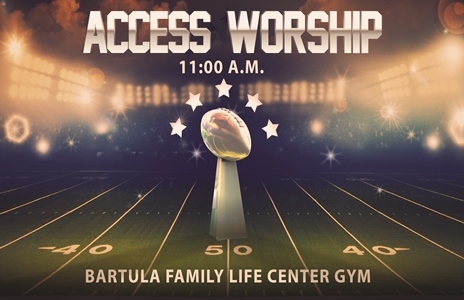 Join the Access community for a Super Bowl-inspired worship service complete with tailgate party snacks. Wear your favorite team gear and worship God with contemporary Christian music and a sermon from the Apostle Paul's comparison of Christians to athletes. Rev. Rich Rindfuss will be preaching. No 5 pm Access service on Feb 7.